The 4x40 and 2x15 mm cross cut versions of our central desk-top shredder IDEAL 2604CC, are now available with optional automatic oiling. The accurately dispensed oil is jetted directly onto the cutting shafts during the shredding operation, guaranteeing constantly high-volume performance. 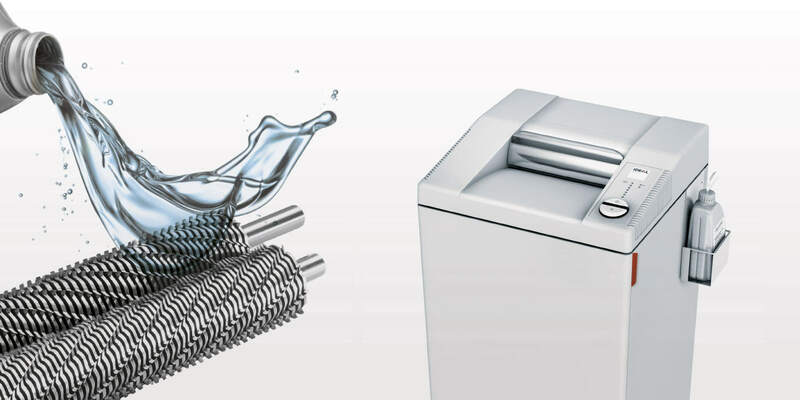 At the same time, there is the added benefit that the special very environmentally-friendly shredder oil, absorbs shredded-paper dust, thus helping to clean and maintain the cutting shafts.